I will be the first to admit that I am not the guy ordering any of the pre-made salads in the grocery store’s deli section. As I sit there and wait for my deli meat to be prepared, I am a bit amazed at how many people get excited to order things like ham salads, potato salads, and a variety of pasta salads. I’m not knocking those folks by any means, but you would think they would ask for a sample before buying a pound, or two of that stuff. Regardless, one of my favorite deli salads is probably going to be the egg salad. 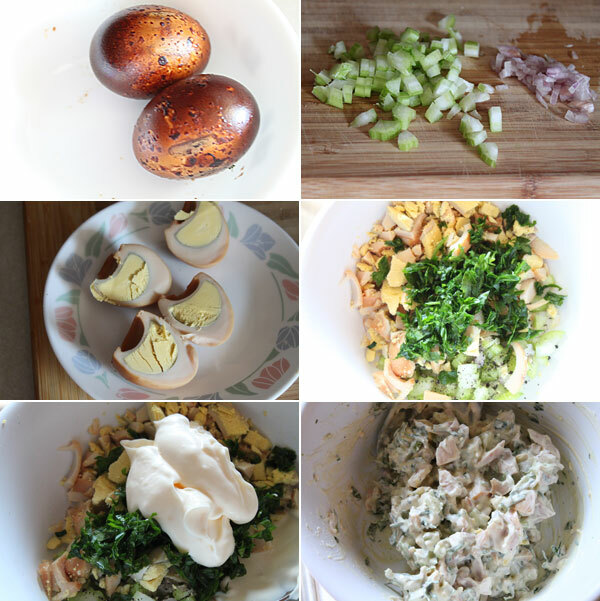 It’s hard to be chopped hard boiled eggs, and add some great crunch from celery and shallots. With that said, I was going to use some smoked eggs that I recently made and see how that would play in a smoked egg salad sandwich. TRUST ME, the smoked eggs are worth making just for this sandwich. 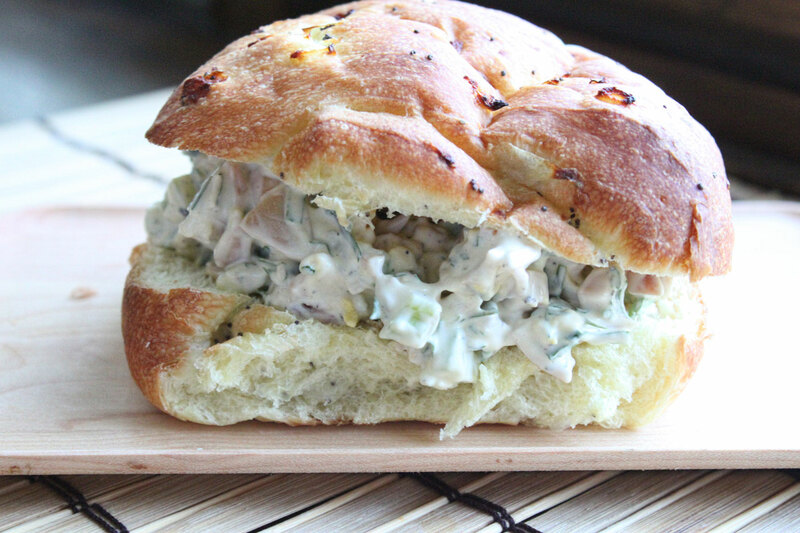 Start by adding everything but the sandwich roll to a bowl. Gently mix and fold to incorporate all of the ingredients. Taste and season with salt if you desire. Add to the sandwich roll and dig in. The result is pretty darn awesome. The smoked eggs by themselves are good, but when you incorporate them into the other ingredients and make a sandwich, well, it just makes everything a whole lot better. Give this one a shot if you are going to make an attempt at smoking eggs. I hope you enjoy.